It doesn't sound like the most unusual dish -- tomato sauce with greens and cheese, pretty standard, right? Well, it is and it isn't. My greens happened to be mallow and wild beet, and my cheese was a traditional Arab sheep cheese known as "jibneh," which, quite creatively, means "cheese" in Arabic. Ingredients you wouldn't usually find in pasta sauce, yet it's the basic mix of greens and cheese. It works. 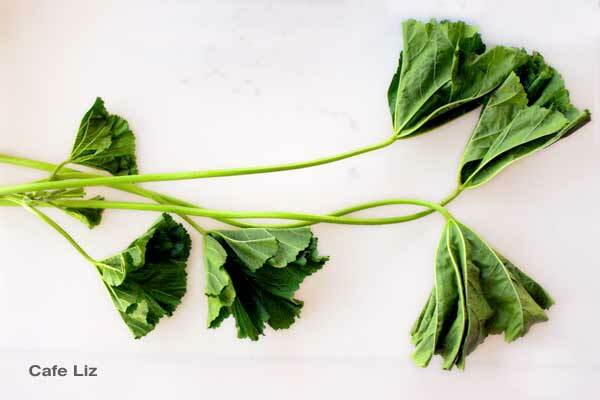 Wild beet and mallow are among the many wild greens that happen to be in season right now. They can be found in abundance in parks, Arab markets and possibly even your yard. Mallow is called halamit in Hebrew, but is known more popularly by its Arabic name, hubezah. The mallow plant gave its name to the marshmallow, and also the color mauve -- mauve is the French name for the plant, whose flowers happen to be, well, mauve. Mallow (in the above photo) has a somewhat beany, legume-like flavor in my opinion. It is often stir-fried and seasoned with lemon juice. 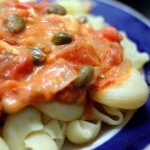 In this sauce, the tomatoes add acidity, instead of lemons. 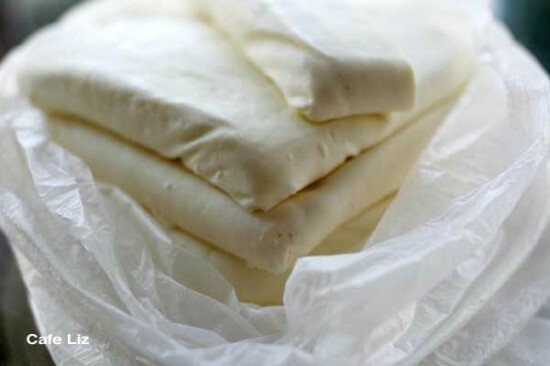 The sheep cheese is a young, white cheese -- unaged -- and it's quite salty. It's a little too salty to eat in large quantities on its own, but it's great in dishes including omelets, and when I add it to a dish, I generally don't add salt. 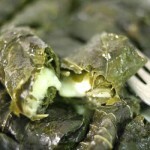 Now, of course, if you don't have indigenous greens from the Levant and Arab cheese, you could make this dish with things like spinach and cubes of Parmesan or feta. Then it really would be your standard pasta sauce. Chop the onion. In a thick-bottomed pot, fry the onion in a spoonful or two of olive oil until translucent. Crush the garlic and add to the pot; let fry for a minute or two as well. Dice the tomatoes (I don't bother to skin them) and add them to the pot as well. Add a bit of water -- say, 1/4 to 1/2 a cup -- cover and let simmer until the tomatoes are soft. Finely chop the greens, and cut the cheese into itty-bitty cubes. Once the tomatoes are fully cooked, add the greens and cheese to the pot, and cook for a few more minutes. Taste the sauce, and add salt and pepper if desired. Serve on pasta, with a drizzle of good olive oil on top. The Choosy Beggars make jibneh from cow milk. More about mallow on Flowers of Israel. 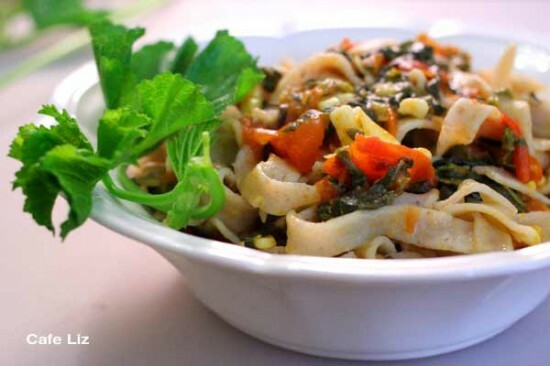 6 Responses to "Pasta sauce with mallow and sheep cheese"
What a lovely pasta dish! I love mallow,and have been collecting it too lately.Learned to like it while living in the north, and I usually fry it with onions, and add lemon juice, like you mentioned above,but really should try it other ways too. That looks like a divine dish! I’m wondering if I can find all the ingredients at shuk hacarmel. I had a nice time of finding hamtzitz last week. 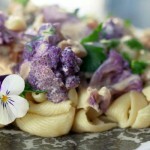 What an exotic idea to use mallow for pasta. Thank you for the for me exceptional idea. Hey Irene, I’ve seen jibneh at one of the cheese stands at the shook — the smaller one, next to an alley and across from a bedding shop in the middle of the shook. I’ve never seen hubezeh or other wild greens there (I happened to buy mine in Nazareth), but I heard a rumor that you can get them at the Hatikva shook. Not sure I ever saw hamtzitz at Hacarmel … good to know. Will look for it.